We have been inspired by the work of Eric Carle who makes fabulous illustrations in his books using printed paper. .... and then we selected contrasting colours to make butterflies. 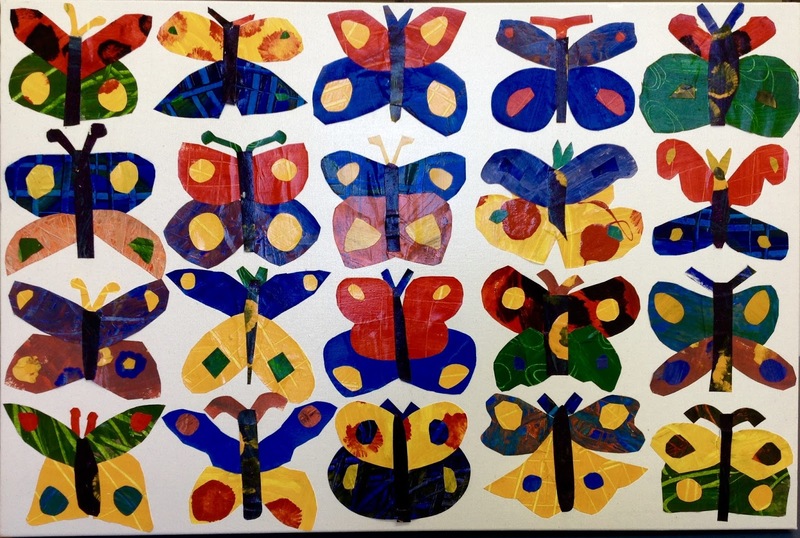 If you click on our names across the top of our blog you can see the butterfly each person made. Our collaborative piece of art is now for sale by silent auction. Come and make a bid at the School Gala on Sunday April 9th - it's an original!